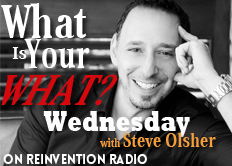 Steve talks about the writing journey of his first book Journey To You and how it morphed into What Is Your WHAT. This leads to further discussion on the difference between being a writer and knowing how to write; an author vs a writer. Mary recommends speaking your words rather than writing them on paper.